10.1-inch FZ-G1 pairs the field-tested, fully-rugged chassis of the original with the latest, fifth-generation Intel® Core™ i5 vPro™ and host of new features, like a glove-sensitive touch screen; a 26-hour, hot-swappable battery; integrated RFID; and much more. If you want a Windows®-ready, rugged tablet look no further. Engineered to withstand the hard knocks, drops and spills of real life on the road, the FZ-G1 is built to operate flawlessly in every environment — from intense heat and sunlight, to pouring rain and freezing temperatures. 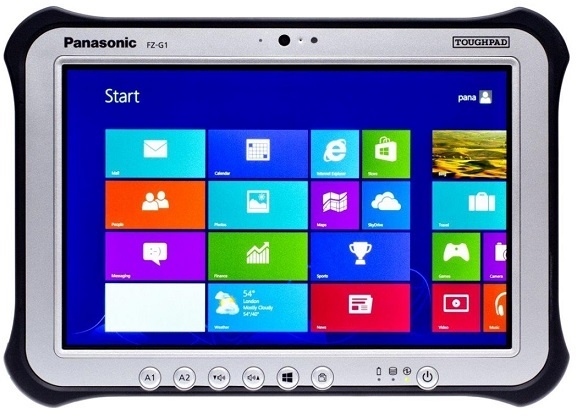 Running Windows 8, the FZ-G1 integrates seamlessly and securely with enterprise platforms.